This page created 15th August 2006. One major operator to use Lynxes into London was Eastern National, with its Thamesway operations. At present I have not found out much about these, but mention them in the hope that more may be forthcoming..
Universitybus had one secondhand Lynx, acquired four years old in 1993 from Whitelaw of Stonehouse. It wore white livery with a grey skirt and a black hatching waist-band. 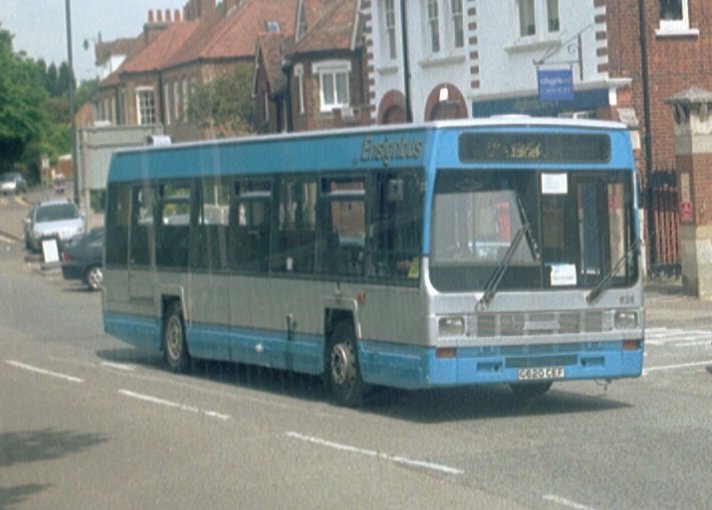 Grant Palmer of Dunstable bought one second-hand from Stagecoach North-East in September 2004. 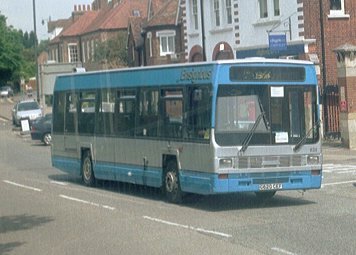 Ensignbus took a pair of ex-Cleveland Transit Lynxes out of dealer stock into their operational fleet in July 2005, when the bombings in London required a sudden massive increase in the need for rail-replacement buses. They were kept on after the crisis, and repainted in Ensign's blue and silver fleet livery for continued hires and rail replacement work. 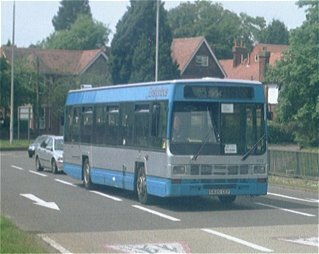 Ensignbus 620 was on Rail Replacement work in Stevenage in June 2006. Trustline of Hunsdon also found the cheap pre-owned Lynx, with its large capacity, useful for rail replacement work. 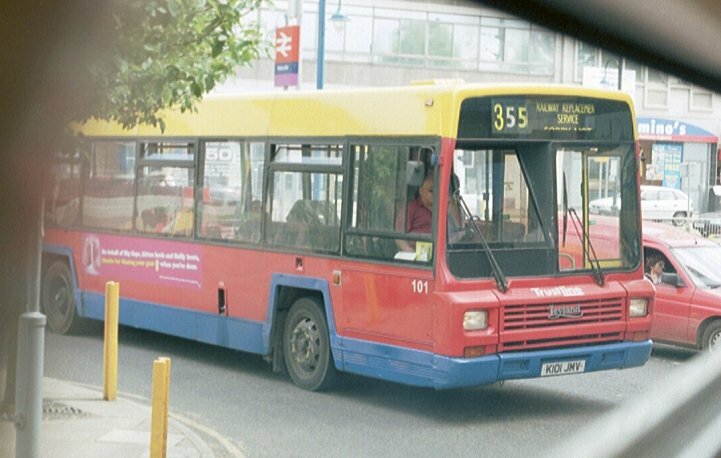 It used one of the ex-Merthyr Tydfil buses (after Stagecoach had used it), until 2004, sold it for scrap, then bought another, the Lynx II that had been new to Metrobus. Trustline 101 squeezes into Potters Bar Station on Rail Replacement work in June 2006. Red Route Buses of Gravesend, Countryliner of Guildford, Thames Bus of New Haw and Town & Country of Purfleet have all found uses for secondhand Lynxes too. First London brought a pair of Lynxes to London in 2004. They came from First Devon & Cornwall, having originated with Brewer's of Port Talbot. After some work at Bracknell (used to Beeline's own Lynxes) they were moved to Rainham, where just one of them, 62666, was put into service on school route 646. National London brought three Lynxes to Walworth from their West Midlands operation to serve as trainers, in July 2004. Ian's Bus Stop LX Contents. bus histories. LX photo refs.